Think Before You Ink, Ongoing. Think Before You Ink Tattoo Studio presents a two-person exhibition in conjunction with Jameco Exchange. On view are photographs by Israeli street artist Addam Yekutieli, and a patinging in response by Richard Parker, visual artist, tattoo artist, and the owner of Think Before You Ink. Since 2014, Yekutieli has been working on an ongoing project titled Truth and Method in which the artist tattoos phrases from his outdoor text-based work on people who participate through an open call. In a series of intimate sessions that include an interview, tattooing and documentation, the incorporation of these texts into the participants’ personal narratives creates not only a re-contextualization of the text, but also distances the artist form the role of the exclusive author of the image. In His & Hers (2016), Richard Parker elucidates the relationship between his painting practice and his tattoo art practice; the artist and the subject of his work; and the relationship between the tattoo artist and his client. Created in response to the work of Addam Yekutieli, His & Hers shows the relationship between the artist and tattoo design as a creative dependency in the form of a living media. 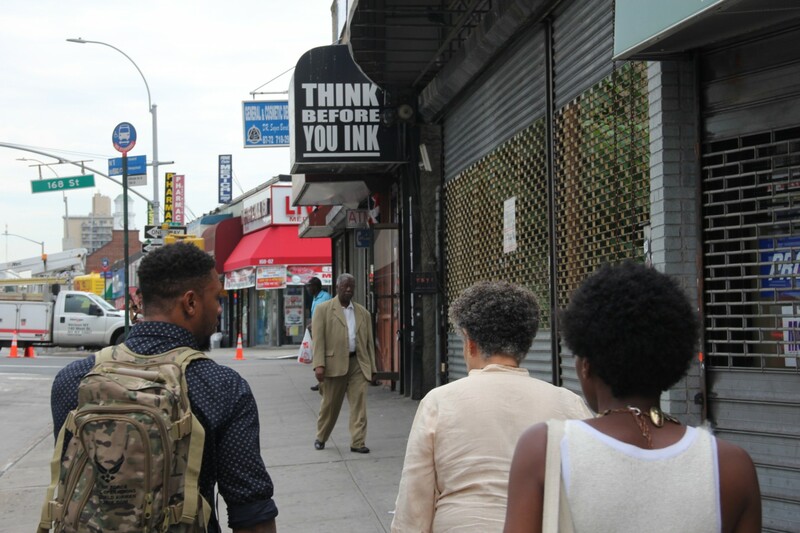 Think Before You Ink is located at 167-16 Hillside Avenue, 2nd Floor, in Jamaica, Queens. Business hours: Monday – Saturday, 12 – 8pm.